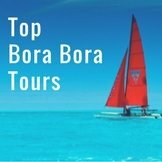 Here are ideas for free things to do in Bora Bora. 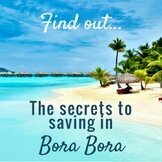 A Bora Bora vacation can be done on the smallest of budgets! 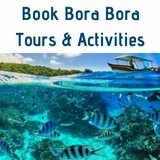 Some of the most fun things to do are actually free Bora Bora activities! 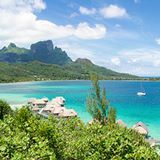 Bora Bora's most prized piece of white sand has been named “best beach in the world”, and the best thing about it is that everyone can enjoy it! 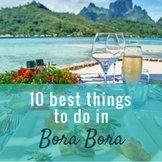 So put it at the top of your list of free things to do in Bora Bora. 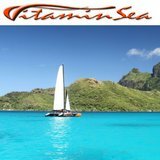 Swim, sun bake and snorkel in this warm turquoise water. 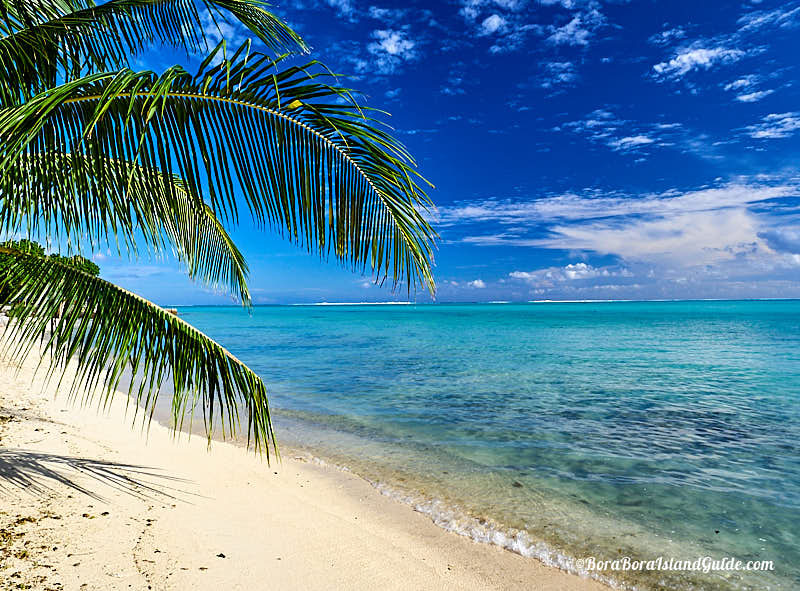 Sip freshly opened coconuts and watch the beautiful sunset from Matira Beach. 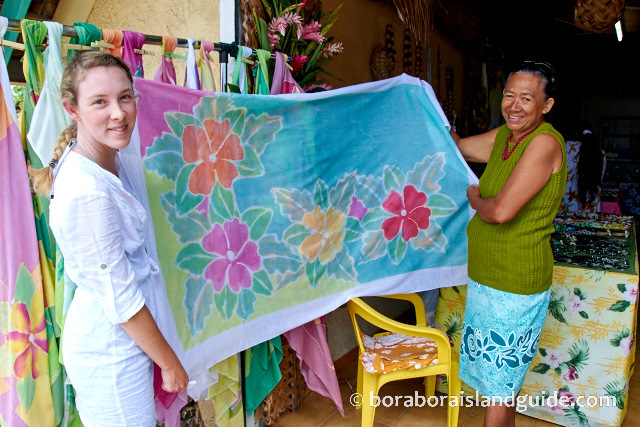 Bora Bora's main town of Vaitape has a variety of stores to keep you entertained for a few hours. 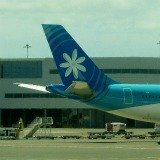 There are high-end shops for the discerning buyer, and markets where beautiful items are only a few dollars. 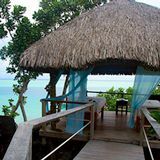 Shop for pearls, hand crafted jewelry, home-wares, books, souvenirs, pareos, vanilla and Monoi products. When we first visited Bloody Mary's we stopped in to check it out, read the famous visitor list, walked over the sand floor, visited the gift shop and then left. 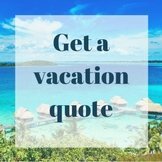 If you want to hang out in this fun island atmosphere a bit longer, it's just for the cost of a drink! 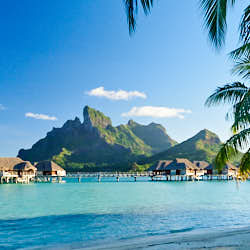 Enjoy sitting on the palm stools under the shade of the thatched roof on a hot Bora Bora day. If you are walking from Matira beach, Bloody Mary's will be your Oasis! 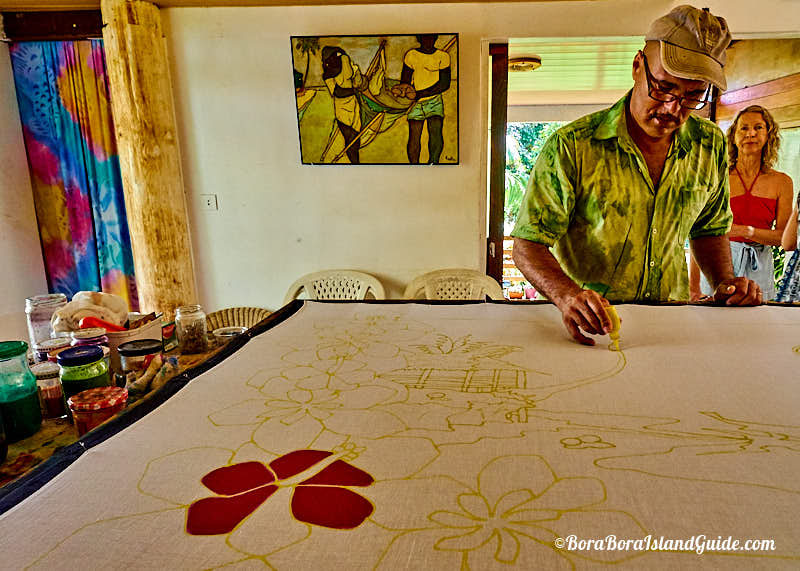 There are art galleries, exhibiting the work of local island artists, dotted around the Circle Island Road. 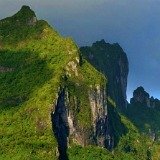 Visiting them is a lovely way to see the island through the local eyes. 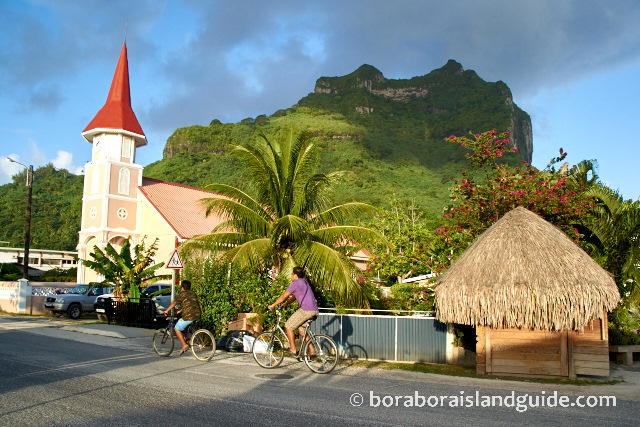 Some Bora Bora pensions offer guests use of free bikes. 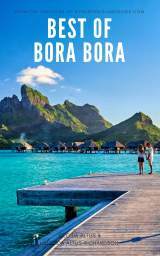 This 32 kilometre (20 mile) road has many free Bora Bora attractions to visit along the way. 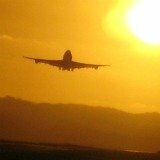 Some are historical. If you don't have a complimentary bike, you can pick one up at any of the bike rental locations near Matira beach for a small fee for the day. 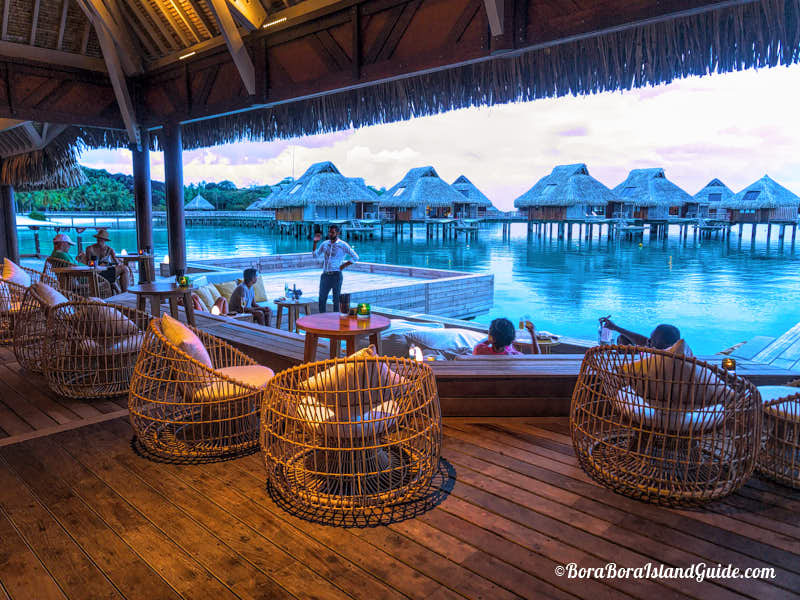 Some of the beautiful Bora Bora resort's invite visitors to dine at their restaurants. The Conrad Nui is especially welcoming. If you book lunch or dinner you can enjoy the afternoon relaxing around it's amazing infinity pool and white sand beach. The all-day restaurant and bar is right on the beach with a sand floor. 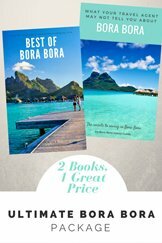 If you're staying in pension type accommodation you have to eat anyway, so you will find this to be one of the most enjoyable free things to do in Bora Bora. 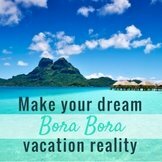 It's a wonderful opportunity to experience Bora Bora luxury. 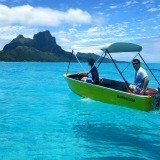 There's a small charge for Nui's shuttle boat service on the way back to Vaitape. 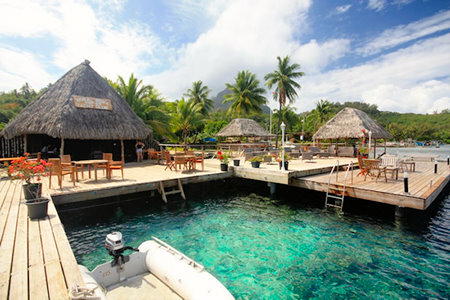 The Bora Bora Yacht club is one of our favorite places to hang out. 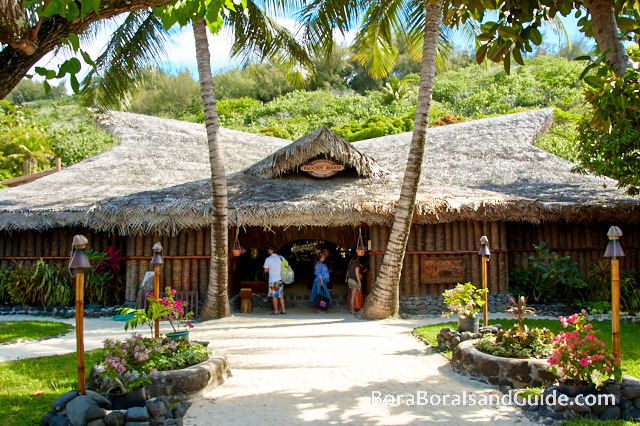 Drop by for a drink or one of the freshest (and best priced) lunch snacks in Bora Bora. Enjoy the bonus of swimming with friendly rays. 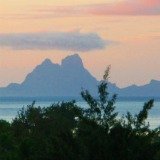 You can relax on the pontoon and be wowed by the best sunset views in Bora Bora.